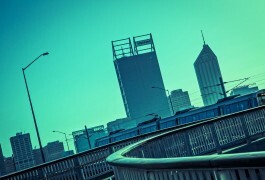 Peri-urban Perth is the outer fringe of the metropolitian area where urban development and rural activity meet. 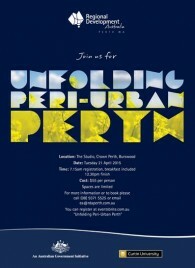 Peri-urban Perth contains agricultural activity, natural resources, remnant biodiversity and significant landscapes. This area is under increasing threat from development and overuse. RDA Perth and Curtin University are hosting a 1/2 day workshop event to discuss the peri-urban region of Perth. Keynote speaker Michael Buxton, Australia’s leading expert on this topic, will be joined by Systems Dynamist and Landscape Ecologist, Brad Stelfox; human geographer, Amanada Davies; and food tourism expert John Stanley.